Whilst you should be focusing on the road and not your smart phone whilst you are driving, there are plenty of apps which are designed to help people who drive a lot, like yours truly. 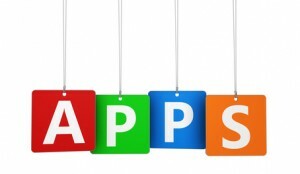 The best apps are designed so that they can be used without compromising safety. Here is a list of 5 of the most popular apps which are currently being used by drivers in the United Kingdom. Little disclaimer goes here: These are not to be taken as recommendations. End disclaimer! Filling up the tank can be very expensive as we all know, and it seems prices are steadily rising yet again, so getting a good deal on petrol is a great way to cut costs. People who fill up regularly need to save every penny, however searching around for the lowest priced petrol station can be a gamble if you don’t know the prices in advance. If you decide to just keep going in the hope that the next petrol station will be cheaper, then you could end up finding out that the next petrol station actually costs more, but it would be uneconomical to turn back. Running out of fuel is also a costly possibility, so drivers should not keep going for too long on the red, and don’t always trust those miles left warnings. This app is one of the best ways to find cheap petrol whilst you are out and about, as you can see all of the latest prices in your area. This will allow you to make an informed decision about which station you go to. Although you have to pay for this app in the first instance, you should quickly cover this cost with the savings that you make by filling up at the cheapest petrol stations in your area. Witness Driving basically turns your phone into a dash cam, so that you can get all of the benefits of a dash cam without having to buy a separate unit. You will also need to purchase some form of phone cradle to support your device whilst you are using this app, but doing so can save you the cost of buying an actual dash cam for your vehicle. You can read about dash cams in my article here. Using the video function on your mobile phone, the app will record and save videos of your journeys in the same way that a dash cam would. If you are involved in an accident, you may then be able to use this footage to prove that you were not at fault for the incident. This is a great way to protect yourself against crash-for-cash claims. The app also has a series of other handy features, such as advice on what you should do if you are involved in a crash. Glove Box is a great way of storing all of the information that relates to your car, so that you can find it all quickly when you need it. Although you will still need to keep hold of all of the paper copies of your documents, this app means that you don’t need to carry everything around with you all of the time. You will be able to access the information that you want, when you want to see it. This app will give you MOT reminders, reminders that you need to have your annual service and it will even let you know if you need to renew your driving licence. You can also use it to log important data about your vehicle, such as mileage and estimated emission for each journey. The app will then put this into graph format for you. This app uses GPS to let you know the location of fixed speed cameras, so that you will not be caught out in an area that you are not familiar with. This can help to make you a safer driver as well as reducing the likelihood that you will get a speeding fine from a camera that you just didn’t spot. The app gives vocal warnings and works with existing popular mapping apps, so that you will be alerted as you are driving. This means that you will not have to take your eyes off of the road to use the app whilst you are driving. The reason that this app is so popular is that it is the first app that is able to help you to monitor your speed through an average speed check zone (SPECS cameras). These zones are often used on motorways where the driving is very stop-start, and drivers often get caught out by them as they think that the periods of slow driving should counter their speed at other parts. The app gives drivers a far more accurate picture of what their speed is over the zone, so that they can adjust accordingly if necessary. Waze crowdsources data from thousands of other app users who are on the road in your area so that you can get information about traffic problems in that area, and then you can adjust your route accordingly. This is a great app for people who have to commute to work every day. The app gives you a “heads-up” about road traffic problems that you might not normally know about until you were stuck in a long traffic jam. When a driver has the app open, their own app will be passively contributing to the network of information which is being shared with others. The active Waze community can also help with other things, such as helping people to find new routes that they may never normally have considered, or helping them to avoid speed cameras on route that they may not have otherwise noticed. There are plenty of other motoring apps out there, and new motoring apps are coming out every month. Keep your eyes on motoring magazines to find the latest apps that are taking the motoring world by storm. It is worth remembering that many of the most popular motoring apps for drivers require user input to keep them working as well as they can. If you enjoy the benefits of these apps, you should make sure that you contribute to them too, but at the end of the day that’s entirely your decision. ‹ Have You Considered Buying an Electric Car?